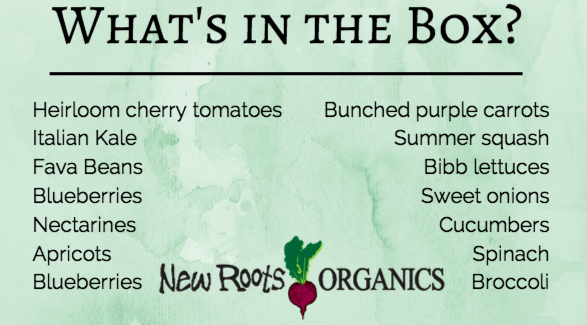 We hope you enjoyed the sun and the fresh produce of last week as much as we all did at New Roots, but we’re glad our farms are getting the much needed rain these last few days (and hopefully seeing the fires in east Washington at their end!). A quick shout-out to all of our New Roots patrons is also in order. This month alone we have raised almost $500 for the Food Bank Donations, and are hoping to end the month out strong! In case you missed our email or are new to New Roots- This is an exciting new way we are helping to raise purchasing dollars to help get fresh produce to more people in our community! We are partnering with the U-District food bank 4 times a year and this month we are focusing on raising money to buy fruit for their program called Packs for Kids. Typically summer fruit is expensive and they are always in need of fresh fruit. So if you want to participate, just click on that icon found where you Shop for Additional Items, and purchase a “Coupon”, they are sold in $5 increments. Finally, I wanted to leave you with a fun little thought on going organic, and see what you’re reasons for eating organic are. I’ve read many, many articles about the pros and cons of going organic, and seen some pretty unique reasons on both sides of the matter. I stumbled upon the most unique by far today while scanning through i09, which featured an article about ‘preppers’ going organic. Confused by the headline, I read on and discovered that those who are preparing for natural or man-made disasters- the end-of-the-world kind of disasters- are looking to organic sustainable means of growing nutritious food in the future. They are also among the most opposed to GMO’s in the recent controversies. While I never thought of this being the reason, I’m certainly glad that our organic farm partners will have businesses booming and better than ever this year! What’s your reason for going organic? Tell us in the comments below or on our Facebook page! Looking Ahead: Next week we will have Romaine lettuces, Bunched carrots, Summer squash, Cucumbers, Chard, Freshly dug Sweet onions and Yukons, Broccoli, Cherry tomatoes, Purple Kale, Green and Yellow Beans, Bok Choy, Blueberries, Peaches, and Apricots, all from our local Washington/Oregon farms! This week’s lineup is here, but first we’d like to take a second to send our hopes to all of our Eastern Washington farmers that their families and crops are safe from the recent fires taking place. We have had some issues getting produce due to Highway 97 needed to be closed down, but are hoping to get everything from our planned bin on time. We’d also like to announce the Food Bank Donations button! This is an exciting new way we are helping to raise purchasing dollars to help get fresh produce to more people in our community! We are partnering with the U-District food bank 4 times a year and this month we are focusing on raising money to buy fruit for their program called Packs for Kids. Typically summer fruit is expensive and they are always in need of fresh fruit. So if you want to participate, just click on that icon found where you Shop for Additional Items, and purchase a “Coupon”, they are sold in $5 increments. At the end of each week we will tally how many were purchased and New Roots will add an additional 25% to the total we have to spend. WE are already up to $194! This is really great- let’s keep it going. 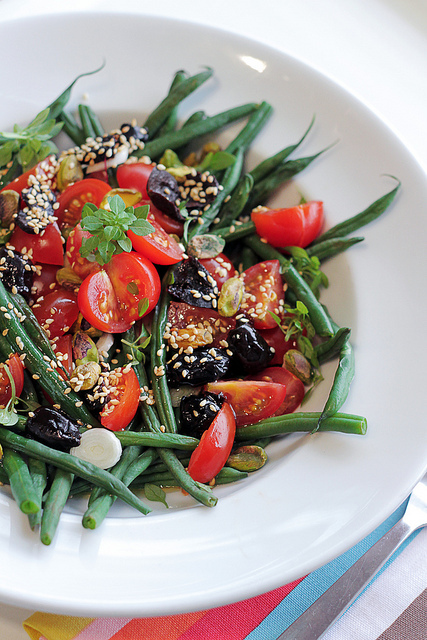 Last but not least, another favorite recipe around the office, Green Bean Salad: just add green beans, leafy greens, olives, cherry tomato and summer savory. balsamic vinegar, Extra virgin olive oil, Salt and pepper. 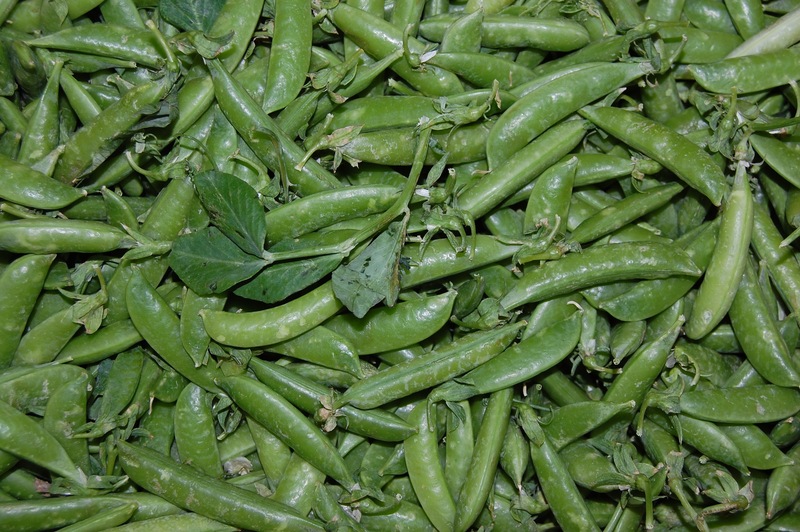 This week we have Fava beans in our bins, a fairly rare find in the NW! Therefore,we thought it might be useful to offer up a little information about what they are, how to eat them, and some great ways to cook them. Enjoy! America as a household item, it is still used regularly in Italy and other Mediterranean countries. Or, instead of following the French preparation, follow other cultures’ prep- don’t peel them at all. Mature beans might have too tough a skin to enjoy, but fresh and younger beans can be enjoyed with the skin in tact. 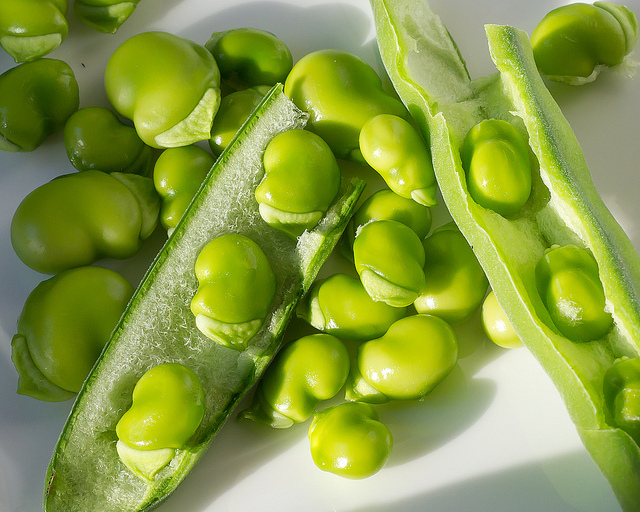 If you’re a time saver, look for young, fresh favas for you and your family! Our founder Carolyn loves her favas steamed and then smashed with a fork. Add a touch of lemon, some good olive oil and crunchy flake salt atop a piece of grilled bread. It’s quick and simple but tastes divine! We all know it’s important to have a balanced diet, and eat as nutritiously and naturally as you can (just read this interview on Huffington Post about how crucial the diet is to the USA team during FIFA ). That said, when the temperatures are up and the Seattle rain takes a vacation, it’s so hard to find the motivation to even use the microwave, let alone the stove. Since you probably have a few spare carrots left from the past weeks bin, try this cold dish, with very minimal cooking time required! 1. Heat oil on medium-low heat in medium size pot. Add carrots, celery, onions, leeks, and garlic. Sauté until onions are translucent, about 3 minutes. Season with salt and pepper. 2. Add spices and vegetable broth. Simmer for 30 minutes until carrots are tender. 3. Remove pot from heat. In small batches, puree soup in blender until silky smooth. Return soup to pot and finish with crème fraiche. Thin to desired consistency with additional broth, if necessary. Adjust seasoning. Chill. 4. Serve in vodka shot glasses garnished with parsley and toasted pocket-less pita on the side. If you’re not the carrot loving type (or very much the carrot type and eaten all of yours already), Food and Wine has a slide list of chilled soup recipes! This week we have some beautiful apricots, raspberries and cherries on sale. What are your favorite ways to eat summer fruits? We have a treat for you (and ourselves) in this next delivery week- Every year we receive bunches of garlic scapes from the Filaree Farm in Okanogan, for only 2 weeks out of the year, and those weeks are upon us again! 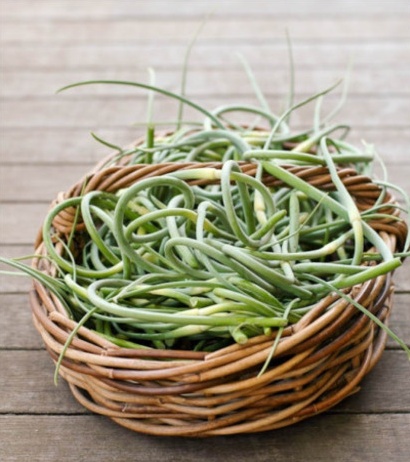 What are garlic scapes? Garlic scapes are the “flower stalks” of hardneck garlic plants, although they do not produce flowers. These stalks start to appear a month or so after the first leaves. They are usually cut off of the plant, since leaving them on only diverts the plants strength away from forming a plump bulb. There are lots of ways to enjoy scapes- they impart a mild garlic flavor to dishes when sauteed.Garlic scapes have many uses, according to GarlicFarmCT, ‘from soup to salads to garnishes: grill, stir fry, use them raw on salads, blend them into hummus or habit-forming scape pesto, mashed potatoes, and more.’ Last year a New Roots team member pickled them and they were fantastic that way! Serious Eats also recommends these 7 recipes for garlic scapes that sound positively divine. In a hurry and not sure what to add as a side to your entree? 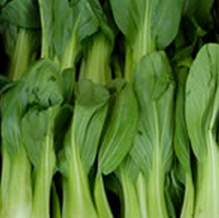 We’re throwing in beautiful Bok Choy from Mt. Vernon this week to save the day. Through these on the grill or in a pan with oil and garlic or ginger for approximately 4 minutes or until they wilt (similar to spinach). Add to chicken, beef, shrimp or other veggies to get your nutrients and a tasty meal in under 5 minutes. There aren’t a lot of things that we like better than fresh local food, but after speaking with Seattle entrepreneur and mother Natalie Angelillo, we may have found a contender. Angelillo is the founder of Swopboard, an online community marketplace that allows you to buy and sell products near you. The upshot? Each item sold allows you to donate 10-100% of the proceeds to a local school; the more parents participating on the marketplace, the more money you recieve. Angelillo also was just named one of the 7 moms to know, so check out her blog on Swopboard for tips on fundraising, parenting, and everything in between. Many of us at NRO have or have had children in schools that will directly benefit from Swopboard, so we wanted to give them a special shout-out to let you, our customers, know about them and how awesome we think Natalie and the rest of the Swopboard team are (which is a lot!). Since our founder, Carolyn Boyle, is a member of the Cascade Harvest Coalition, we know just how hard it can be for non-profits (such as school organizations) to raise funds. Says one Swopboard user, “My school hosted a post-auction sale on SwopBoard. I listed and sold an inflatable bouncy house for $200 and donated 100% of the sale to my school.” For those of us who didn’t know how much a bouncy house is, just a 10 x 8 x 7.5 on Walmart is $279! You can even tell the community what you are looking for if you don’t see a listing, and get notifications when someone lists that item. The beauty of the marketplace for us? Cleaning out the garage and spare closet and selling them makes us a little money for us and our schools, on a trustworthy site or other parents in your neighborhood. Here’s a bit more about Swopboard, and what their other fans are saying. 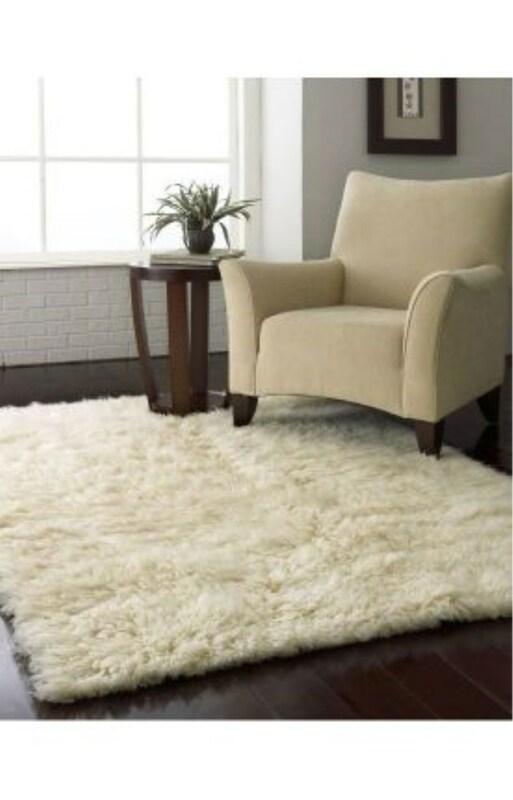 This Natural Greek Flokati thick lush pile of 100% wool Standard Shag Rug is only $179 on Swopboard. SwopBoard is an online community marketplace to buy, sell and give back to your school. Each transaction involves trusted users who share similar lifestyles to yours – people in your school and neighborhood – which increases the chances of finding the right buyer and purchasing what you really need. As a bonus, you can donate up to 100% of every sale to your school (a minimum of 10% is required). Simple, Fast “I Want” Function. Users can peruse the “Want” list to find items other parents are seeking. When users have something on the “Want” list that they would like to sell, they can easily list that item and auto-connect within their immediate community to those seeking that item. An Intuitive Selling Experience with Built-In Marketing Tools. Buyers can easily ask questions, follow their favorite sellers, and ask for a lower price with SwopBoard’s internal messaging system. Sellers can simply customize their privacy settings and tailor the school’s donation amount on an item-by-item basis. Users can even create video listings directly from their smartphones. That’s right, even we need to turn over a new leaf every once in a while, so it’s a good thing we have all kinds of leaves in our summer bins. We have big plans for our organic-loving patrons this summer and we want to bring more value than ever, so we’re returning to the blog to make sure you have all the tips, tricks, and information on everything local and organic. Since it’s Memorial Day weekend, here are a few ideas for what to make using the produce from this week’s bin. 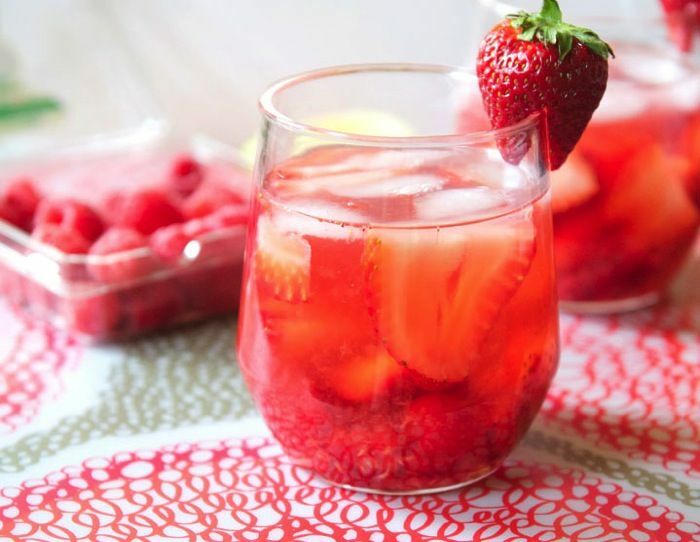 The recipe for this yummy strawberry sangria is by Erin, from The Almond Eater. Enjoy it as is, or throw in your extra blueberries and nectarines to make it fruit-tastic. Tip: Use a Riesling or Moscato for a sweet sangria, or a savignon blanc or chardonnay for an option that offers tart and sweet flavors. Nothing says Memorial Day like grilled food. Try slicing your leftover veggies and marinating in BBQ or Italian Vinaigrette for a side dish everyone will want seconds of (and clean out the fridge in the process). 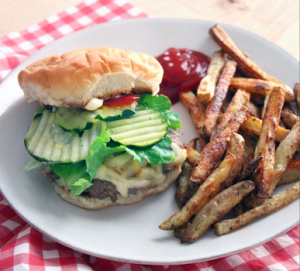 Read through Bowl of Delicious’ tips for the perfect burger, and add toppings like avocados, mango or beets to kick it an extra kick of flavor. Follow the directions by Food.com and send us your results. Hopefully it looks as pretty as theirs does, but it’s the taste that counts afterall! How are you using your bin to celebrate the long weekend? Comment or tweet us with pictures or recipes! Hello all and Happy Friday! 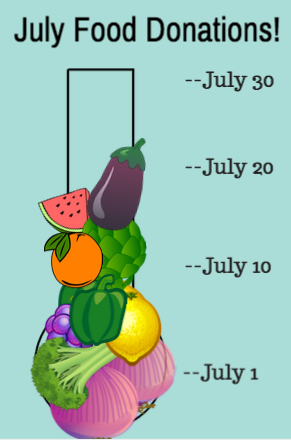 Next week will bring more amazing produce. We’d like to shed a special light on one of our favorite veggies: artichokes! Find complete cooking tips here! Originally from the Mediterranean region, the artichoke is actually classified as a flower! And, frankly, we love this fleur! The artichoke was eaten first over 3000 years ago. Then, at the fall of Rome, it disappeared. Italy revived the artichoke in the 15th century. 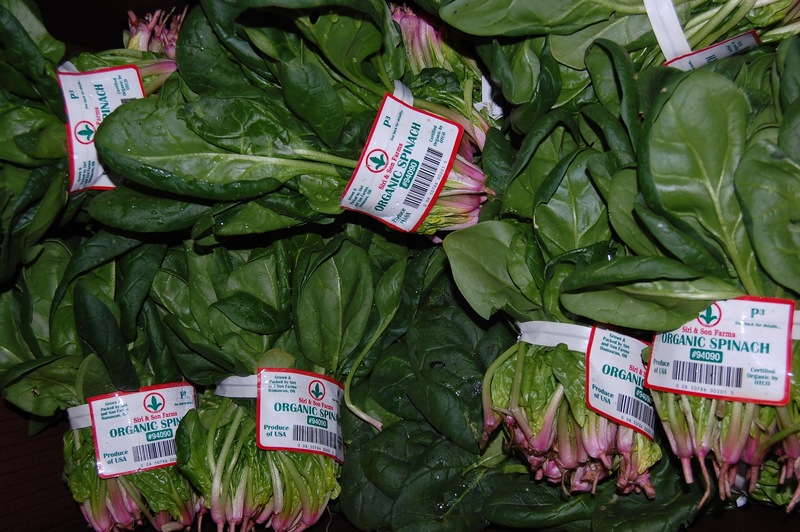 Today, California is home to 100 percent of America’s commercially grown artichokes. So are they good for you? Yes! 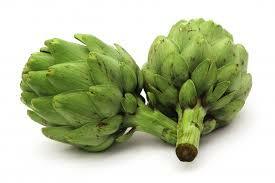 Artichokes are low in calories, with only 60 calories for one medium cooked globe. They are naturally fat-free. The artichoke is a natural diuretic, a digestive aid, and provides nutrition to health-promoting bacteria in the intestinal tract. Some studies suggest that fresh artichokes help control blood-sugars in diabetics and lower cholesterol levels thus warding off arteriosclerosis. Although artichokes have a high amount of natural sodium, they are still lower than most processed foods, and are also good sources of fiber, potassium and magnesium. Hello all and Happy Wednesday! The week is almost over, but we are enjoying every bit of this week’s produce. We’re featuring some new items this week that have been just awesome! Today, we’d like to focus on two of Carolyn’s favorites: snap peas and spinach! First-of-the-season sugar snap peas, these little pods are crisp and delicious. 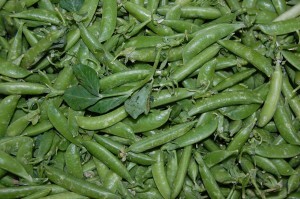 Sugar snap peas are considered to be one of the oldest crops known. Many theorists date them back to 9750 BC in Thailand and Burma. They were known to be a staple in the diet of Romans and Greeks, showing just how nutritious they are. 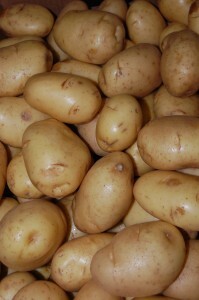 As they consumed as a whole, they have relatively high content of dietary fiber, vitamins K, A and B complex. 2 Barley Salad With Green Garlic and Snap Peas – Light yet filling – and nutritious, too! 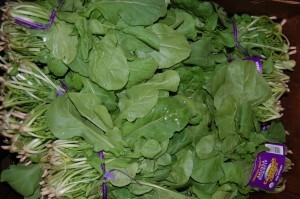 Truly a warehouse and fan favorite, along with Carolyn, spinach is back and better than ever! Spinach is one of those super food, awesome, do-all-be-all, best thing ever type of veggies. Not only is spinach amazingly healthy for you and readily available, there is literally a spinach recipe for every type of meal (breakfast to dinner and even dessert)! Hello all and happy Tuesday! We’re almost to mid-week and the produce is proving to be awesome! Just see why..
Arugula has such a great natural flavor. 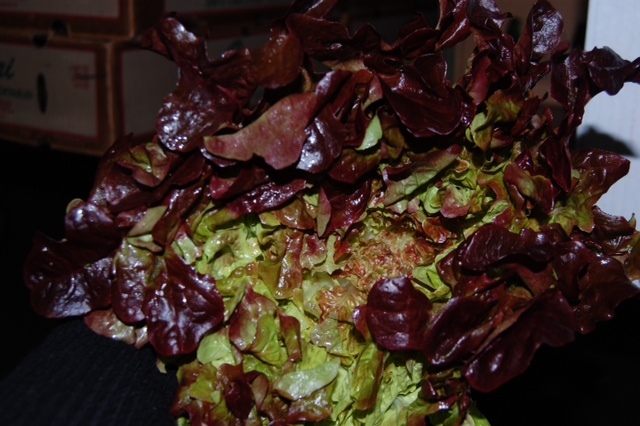 It is slightly peppery and is delicious on its own or as an accent to many savory dishes. Check out these recipes! Another one of our favorites this week is the Yukon Potato. A staple for many households, it’s always good to have these on hand. Think of all the great potato recipes you know! Can’t think of any off the top of your head? Try these! 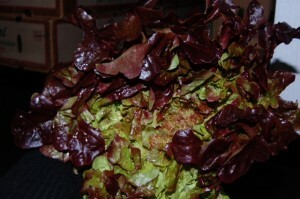 This lettuce truly melts in your mouth! 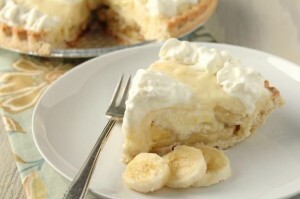 It is so yummy and versatile! We especially want to know how you used it this week. What are al of the different ways you could cook with this? Share on our Facebook page! We are very excited to have leeks back in the menus this week. If you’ve never had leek and potato (woohoo for having those too) soup, you are simply missing out. Leeks are much more than a soup addition though. 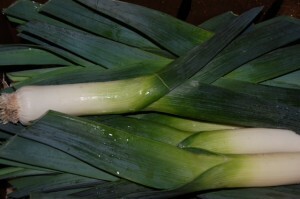 Leeks are root vegetables that look quite similar to onions, to which they are related. Their flavor is onion-like but much milder. People who avoid this vegetable because they don’t like onions should try them — their flavor is mellow and not overpowering, and many onion-haters enjoy them. Overall, they’re pretty great! It doesn’t get much better than this! 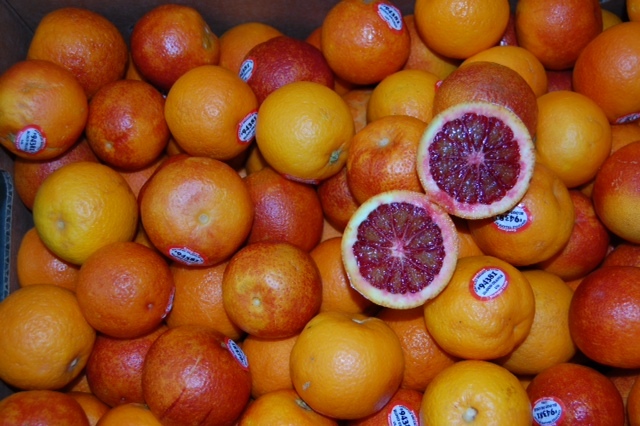 These blood oranges definitely deliver. They are gorgeous and super tasty! Get ready for a sweet and tart juicy snack! These are simply divine! And they can be used in cooking for so many recipes.